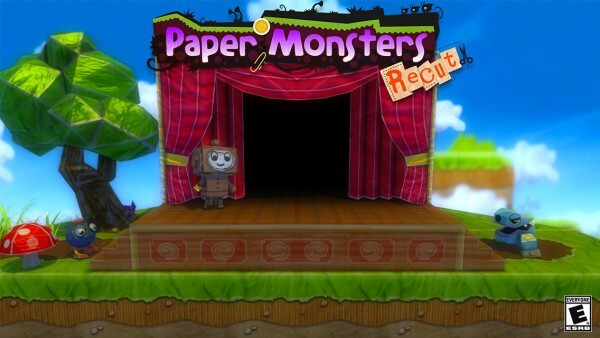 Paper Monsters Recut ($4.99) by Crescent Moon Games is the iOS port of the same game that is on PC and Wii U consoles. 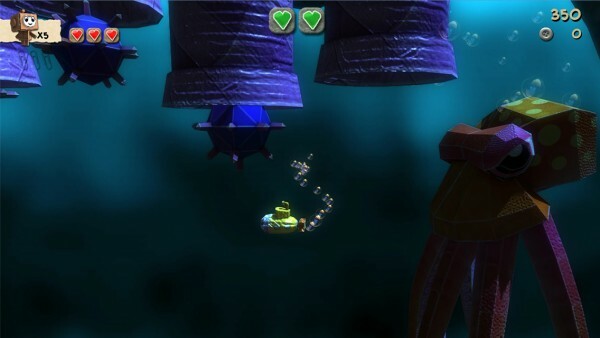 Recut itself was a sequel of sorts to the original Paper Monsters that came out in 2012. That title has since been pulled from the App Store to make room for Paper Monsters Recut, and it’s well worth it. 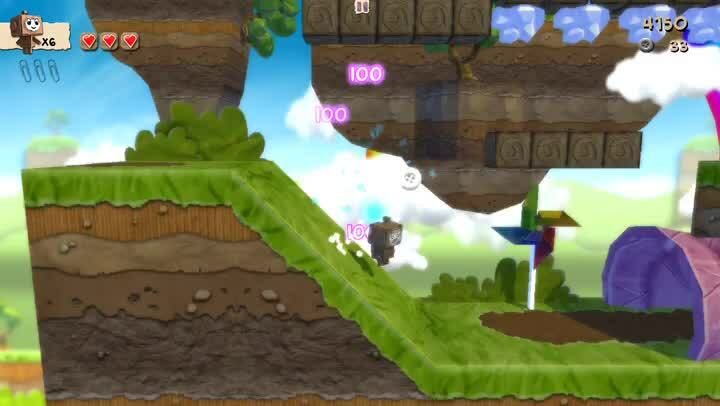 If you enjoyed old-school platformer games like Super Mario Bros., then Paper Monsters Recut is going to be right up your alley. When I was a kid, I grew up with consoles like the SNES and Sega Genesis. I didn’t have too many games at the time, but one of my favorites were the platformer games, including Super Mario Bros. titles. There was just something about platformers that kept me coming back for more, over and over again. When the news of Paper Monsters Recut hit my inbox, I was pretty excited. I don’t think I played the original Paper Monsters, but I have heard amazing things about the game, so a new version means another chance, especially since I don’t have a Wii U (yet). The visuals in Paper Monsters Recut are gorgeous. I’ve always been a fan of the different art styles found in Crescent Moon Games’ titles, and Recut is no exception. 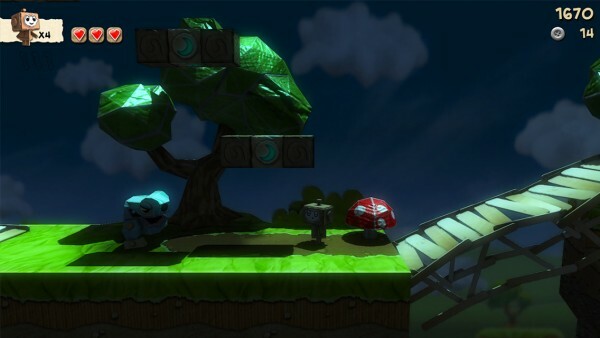 The game features a beautiful paper world that is rendered completely in 3-D. The environments are vibrant and lush, and the day and night settings for different levels helps make the game pop. Sometimes, though, the dimly lit areas make it a bit difficult to see (similar to the visibility of rocks at night in Alto’s Adventure), but that just means you have to pay more attention to the game. Character movement and animations throughout the game are smooth and fluid, so it ran great on my iPhone 6. Recut also has an incredibly soothing and relaxing soundtrack that is a joy to listen to. And if you grew up with the classics like I did, then you’ll appreciate the retro sound effects that you’ll find throughout the game, such as when you warp through pipes, or get hit by an enemy (sounds almost like Yoshi). 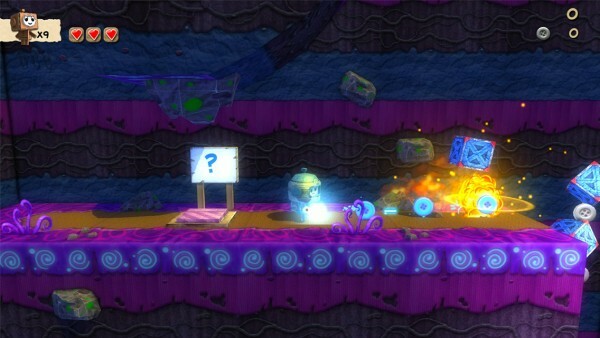 Paper Monsters Recut, like many other platformers out there, is based on levels. You’ll have to go through them in linear fashion too, making sure that you collect enough of the golden paperclips from previous levels to advance forward. Each stage has a simple goal: get from the starting point (Point A) to the ending curtain (Point B). 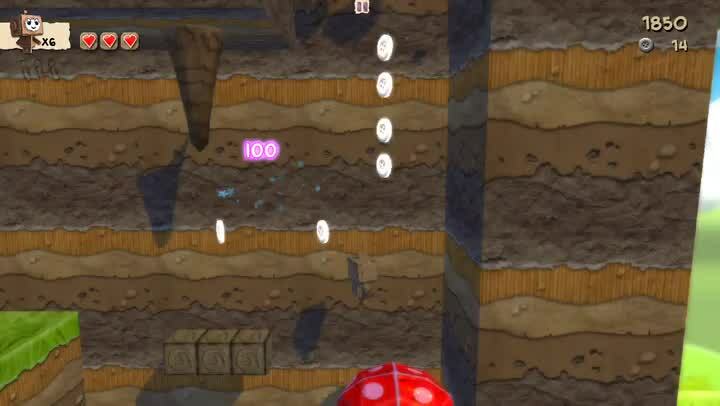 Along the way, you’ll have to find those paperclips (sometimes they’re hidden), collect the white buttons, acquire extra lives, jump on monsters to defeat them or just avoid them, and open gift boxes for special surprises (such as a gold button for high score mini games or heart piece). You get points for collecting things and bopping monsters, and all of these are totaled up at the end of a level for your final score. 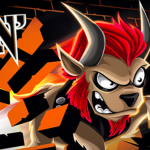 While there are some power-ups that you can use to your advantage for a stage, the game is completely free of in-app purchases, so it’s more about skill here. Controls in the game are simple and intuitive. To control your character, just move your thumb around in the bottom left corner to go left or right. To jump, tap on the right side of the screen. 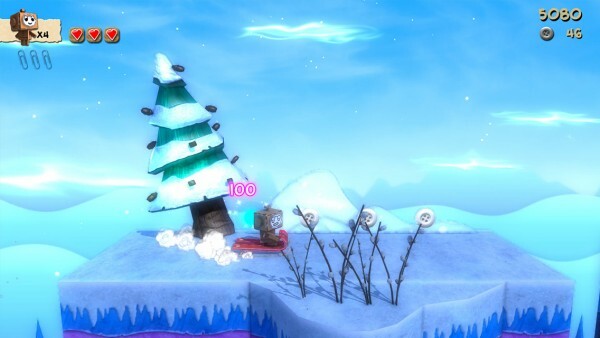 A second tap will allow you to perform a double jump, which is useful for getting into those hard-to-reach spots. I found the controls to be precise and responsive, which is just what I’d expect from Crescent Moon’s quality titles. 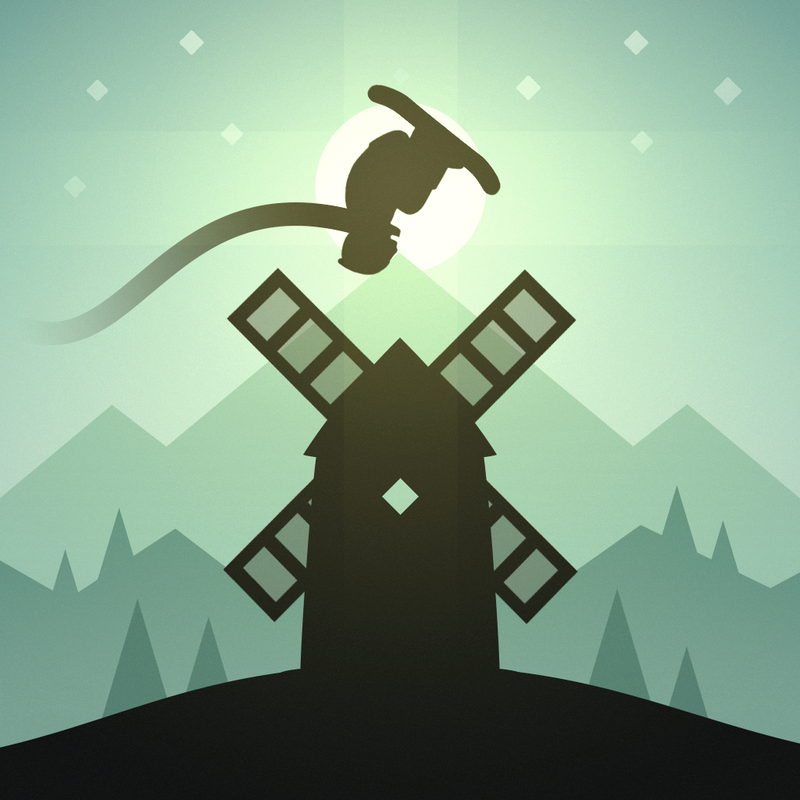 Like any game in this genre, while the controls are easy to learn, you’ll need to master them to make progress in higher levels, as timing is everything. While the touch controls work fine for me, if you do have a MFi controller lying around, then you’ll be happy to know that Recut fully supports it. I’m still in the early stages of the game, but so far I’m in love. The game looks stunning, the original music is delightful, and the controls are precise. There are a ton of levels and they aren’t short either, so there is a lot of content to go through (with secrets to unlock). As a person who grew up with these games, the sense of nostalgia is just icing on the cake. 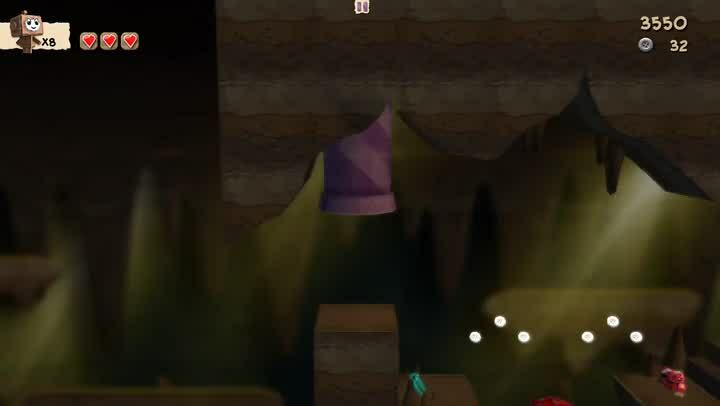 I highly recommend checking out Paper Monsters Recut if you are a fan of premium platformer games. You can get it on the App Store as a universal download for $4.99.